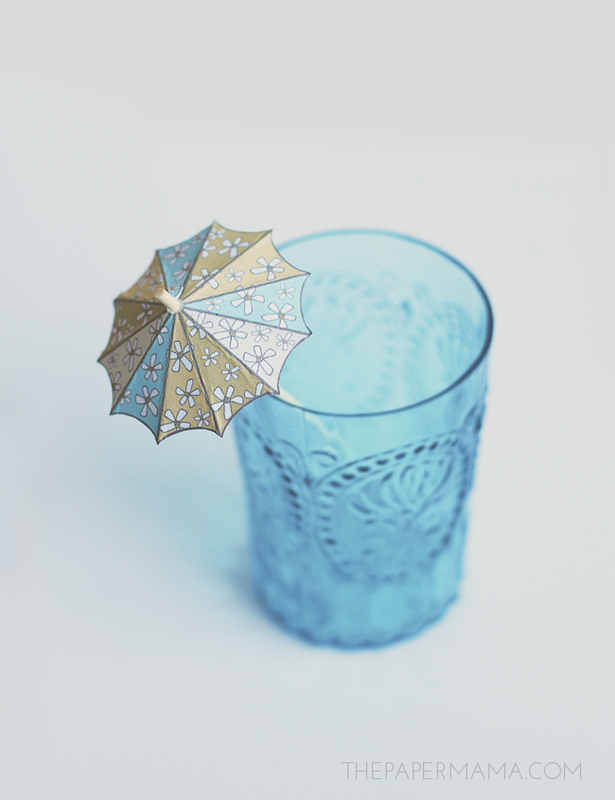 Do you remember my umbrella drink stirrers? Well I had a few emails asking if I could provide a blank umbrella so they could be customized for any party you have. 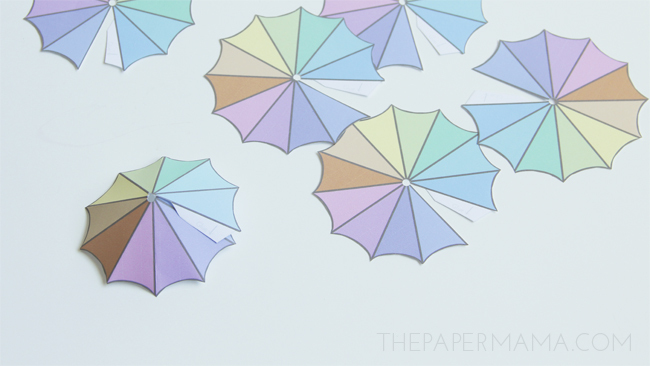 I made 3 new umbrellas for today’s post. 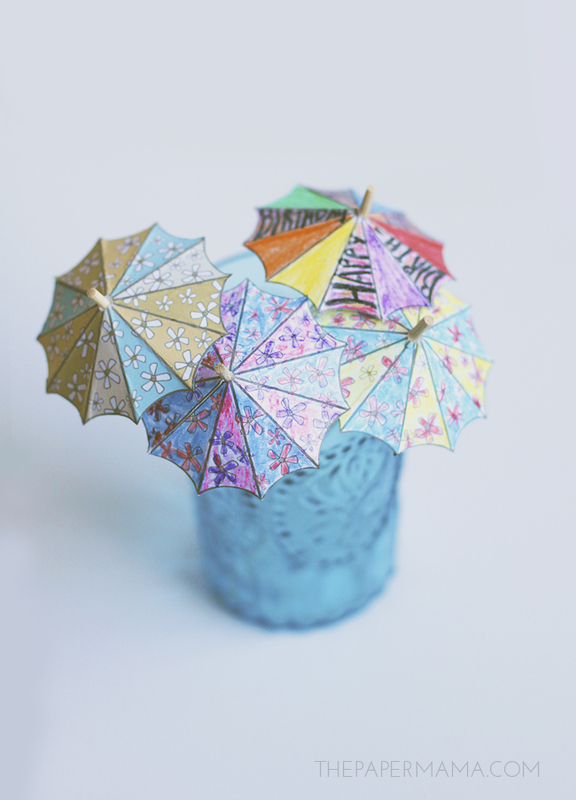 A blank umbrella, an uncolored flower umbrella, and a colored floral drink umbrella stirrers. The blank umbrellas are a fun for kids to color! My daughter colored a couple flower umbrellas, and I made a “Happy Birthday” umbrella with some crayons. These umbrellas are perfect for any occasion: bridal or baby shower, birthdays, weddings, and Tuesdays. 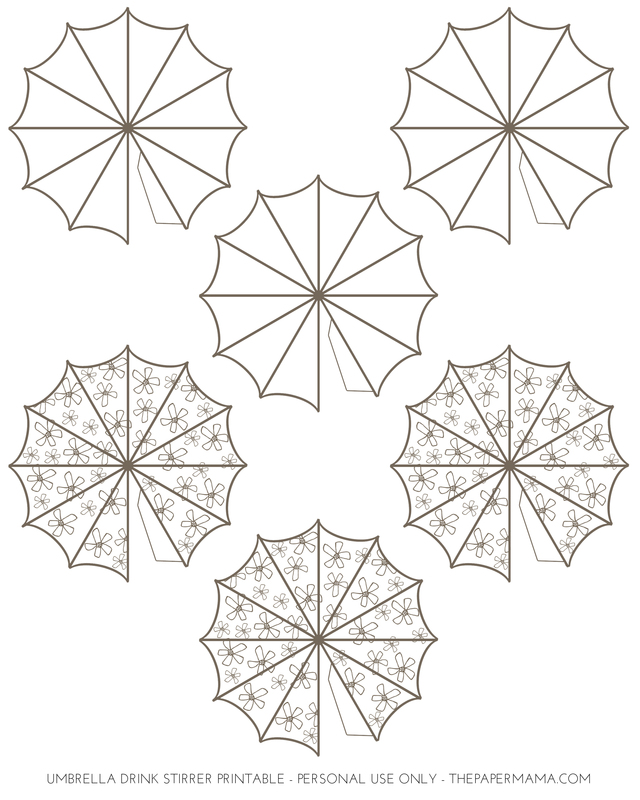 Print out the umbrella printables. If you print out the blank sheet, color and decorate your umbrellas. Cut out the umbrella shape (make sure you don’t cut off the tab). 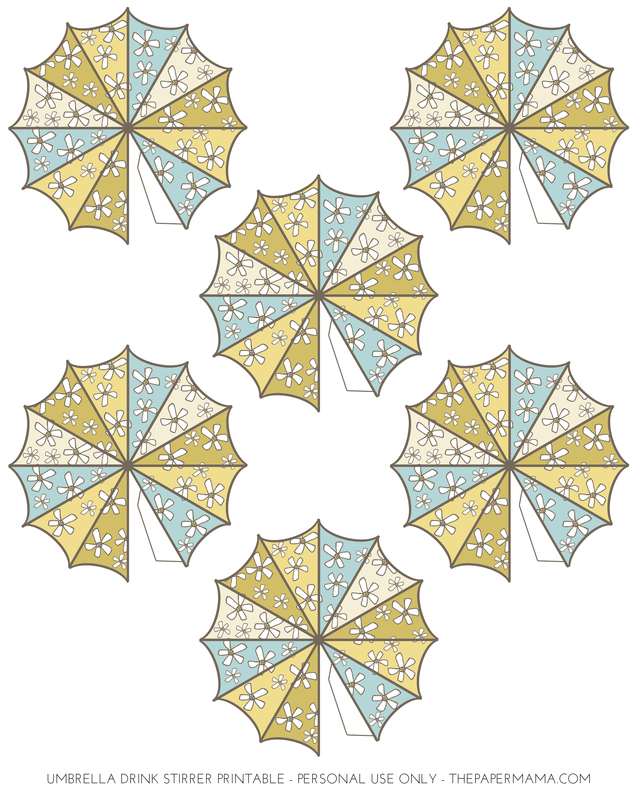 Fold each line of the umbrella down. Punch a hole in the center of the umbrella. Hot glue the umbrella to the top of the wooden skewer (glue the umbrella on the uncolored side to the skewer), leaving a 1/4″ of the skewer sticking out over the umbrella printout. 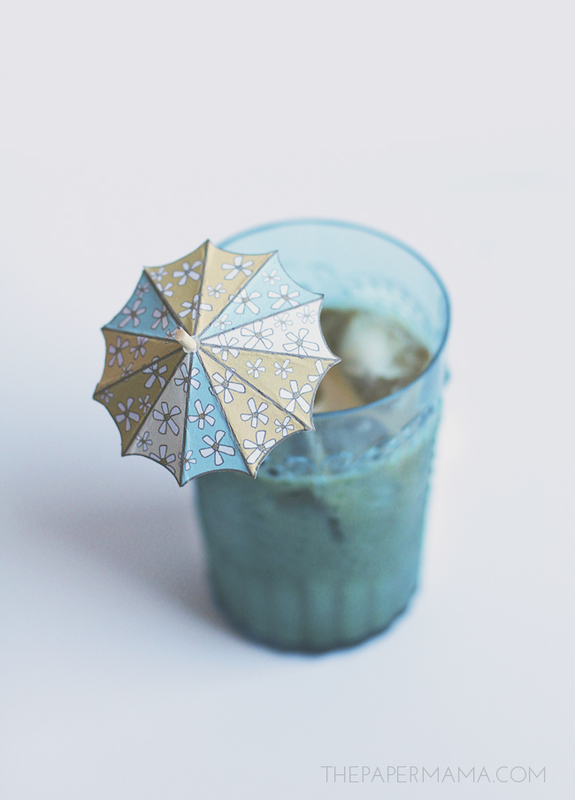 Tip: you could also glue these umbrellas to straws! 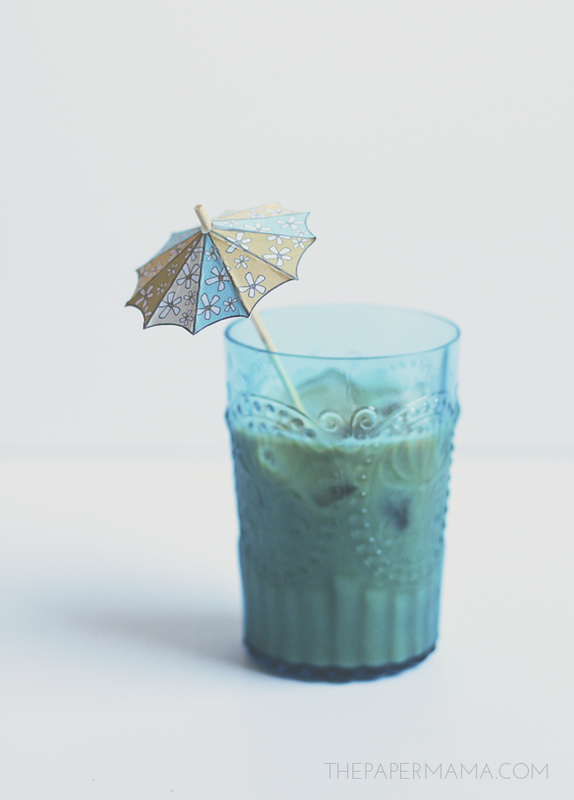 Trim the skewer to the desired length and decorate your favorite drink. 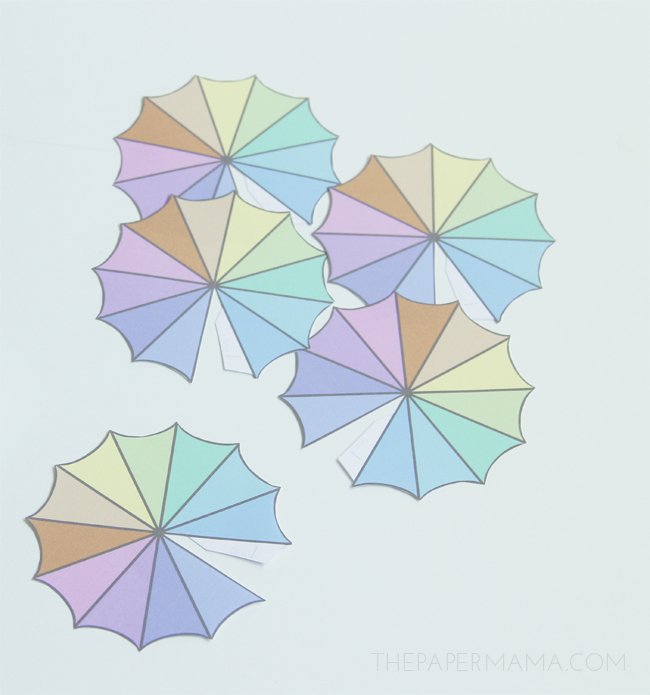 If you want to download my original rainbow umbrellas, head on over to this post.